The wooded areas that surrounds Big Bear Lake Recreational Area are full of trails for all levels of hikers, bikers, and walkers. Here are three of our favorite spots to experience and explore. Whether it is phenomenal views of the lake or heart racing drops, each of these trails offers a unique experience. This 2.5-mile path is perhaps one of the easiest in the area to explore. The path is paved and follows the north Shore of Big Bear Lake. It is ideal for those who might be new at discovering the outdoors on foot, as it is a rather flat route with very little surprises in terms of maneuverability. Those who are traveling with children, strollers, or wheelchairs will find it an easy path for an outing. Perhaps one of the most popular trails at Big Bear Lake, this 2.4-mile trail starts just east of the Big Bear Dam on Highway 18. Hikers can park their vehicles at the small turnaround that marks the start of the trail and head out for a somewhat challenging hike. The first .5 mile is the most difficult as the elevation climb, in the beginning, is rather steep. That being said, once at the top hikers find themselves on a granite rock overlook that provides stunning panoramic views of the area. The payoff is definitely worth the hike! This loop is perhaps the most difficult one in the area and requires a bit of stamina and a keen ability for navigation. There are plenty of twists, turns, and changes in elevation to assist you in getting your heart rate up while biking this trail. The path features rough dirt roads filled with rocky and boulder heavy patches. Once you pass through these spots, the trail opens up to some awesome desert views before throwing you back into steep uphill and jarring downhill turns. There is no doubt that you are going to get a good aerobic workout while navigating this trail. These are just a few of the many trails that are available to explore at Big Bear Lake. 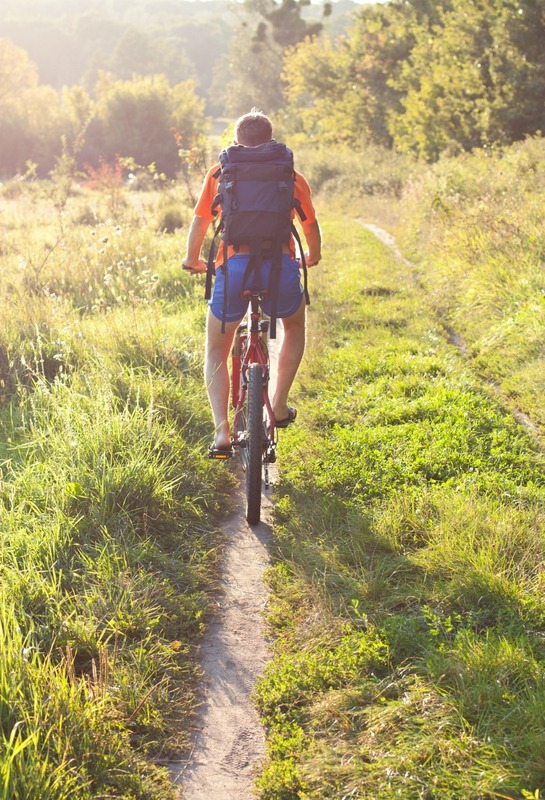 Grab your favorite pair of hiking boots or mountain bike and head out for a day of adventure and exploration.